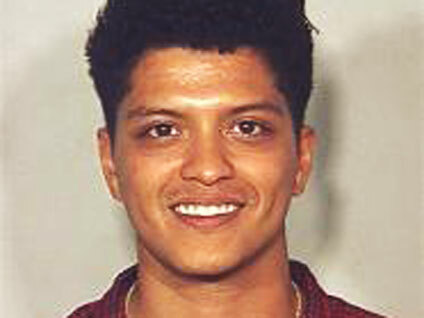 LAS VEGAS (CBS/AP) Singer-songwriter Bruno Mars was found with a bag of cocaine in the bathroom of the Las Vegas Hard Rock Hotel & Casino over the weekend, say police. Mars, whose real name is Peter Hernandez, was arrested early Sunday after being detained by hotel security. He was booked into county jail on suspicion of possession of a controlled substance. The Las Vegas Metropolitan Police Dept. says the "Just the Way You Are" singer was carrying 2.6 grams of cocaine. Formal charges have not yet been filed, but the 24-year-old singer is due back in court on November 18. According to the arrest report obtained by TMZ, Hernandez entered a bathroom stall with a bag of a white, powdery substance. After taking what seemed like an unusually long time, the bathroom attendant alerted a security guard who confronted Hernandez as he exited the stall, says the report. When asked to hand over any narcotics he may have had, the report says that Hernandez pulled the bagged substance from his jeans pocket. Authorities say it later tested positive as cocaine. The report states Hernandez was then taken to a holding cell where he was questioned by an arresting officer. The report states that Hernandez asked the officer, "Can I speak to you honestly, sir?" He then reportedly admitted he had done a foolish thing, and claimed that he had never used drugs in the past. Hernandez faces possible felony charges.